England Hockey governs all hockey in this country from grass roots to the elite end of the sport. Governance of the game is devolved at a regional and local level to Regional and County Associations. There are six Regional Associations - East, Midlands, North, South, West and the Combined Services who represent the three single service Associations. Counties affiliate to their respective Region. These bodies bring clubs together at a local level and ensure that information is cascaded up and down through the game. They are also responsible for implementing the Disciplinary Code of England Hockey. The Regional Associations are represented on the Regional Consultative Committee (RCC) which supports the work of the Board to ensure it is operating in line with the agreed Memorandum & Articles of England Hockey and follows best practice in terms of the financial management of the company�s affairs. 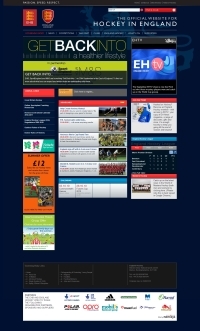 The England Hockey website endeavours to highlight the many facets of England Hockey and hockey in England.